Stuckey highlights how Fellowship of Christian Athletes camp influenced his life – Welcome to Wyandotte Daily! As summer transitions to fall, the evenings cool, autumn clothes emerge from the back of the closet and attention turns to, among other things, football. And this week, as many NFL teams wrap up their training camps and head into the pre-season, fans are ready. Football season is also a favorite at Fellowship of Christian Athletes, especially as young athletes, coaches and staff have a chance to interact with NFL players who are committed to Christ as much as the game. Earlier this summer, several San Diego Chargers players participated in an FCA Camp in San Diego, and among them was Darrell Stuckey, a native of Kansas City, Kan., who has been actively involved with FCA and was featured last year in FCA Magazine, where he talked about the influence an FCA Camp had on his life. 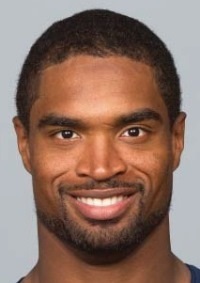 Stuckey was a team captain for the Chargers in each of the last three years, and he was Special Teams Player of the Year in 2013. He played in the Pro Bowl last January. He has also helped with school football camps in Kansas City, Kan. The summer before his senior year of high school, when he was a student at Washington High School in Kansas City, Kan., Stuckey had a tough choice. He had accepted a scholarship to attend a local FCA Leadership Camp, but it was the same week as a football camp at the University of Kansas. The young athlete was torn, as he said he didn’t want to miss out on landing a football scholarship, yet also realized the FCA Camp could change his life. He decided to attend the first day of Kansas’ football camp, then head to FCA Camp for the rest of the week. Stuckey said he felt broken and angry, even as campers readied for an obstacle course activity. His competitive spirit won out, and Stuckey and another camper wanted to leave their mark by being the only ones to complete the course bound together and blindfolded. “For the first time, I felt like I understood that God just wanted me to surrender my life to Him and give Him all the glory and praise,” he said. “My priority was no longer to get a scholarship, but to allow God to show me where He wanted me to go to share His Word. Just a couple of weeks later, however, Stuckey’s world came crashing down around him, when an incident of family abuse surfaced. Suddenly, his stepfather was gone, and at 17, Stuckey was the man of the house, leaving football practice early to work nights and help support his mother and family. At Kansas, Stuckey continued his involvement with FCA, where he worked closely with FCA’s John Shore. “I don’t know if he knew how badly I needed a positive male role model, but he provided that for me. He helped me launch KU’s FCA Huddle and took me to FCA events and men’s Bible studies. My time at KU was so special, both on the gridiron and away from it. I met my wife after recommitting my life to God and fully immersing myself in Him. For its Camps season, FCA focuses on ministering to the whole athlete—physically, mentally and spiritually—through its popular Camps program. With the 2015 theme of “Undefeated,” FCA Camps offer student-athletes the opportunity to develop in their chosen sport through outstanding instruction, skill development and intense competition, along with spiritual guidance from dedicated coaches and staff who concentrate on training the total athlete. For more information on FCA Camps, visit www.fcacamps.org.